The Libellula was the brainchild of Count Ettore Manzolini. It was very similar to the Sud Djinn in external appearance with an open framework fuselage and fixed skid undercarriage. 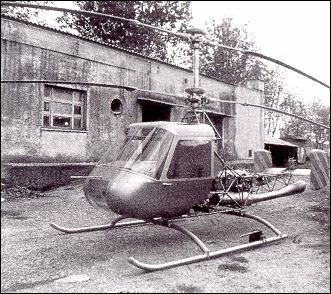 Manzolini devised a coaxial rotor system for the Libellula and flew his prototype on 7 January 1952. This was followed by the Libellula II which used a higher powered 105hp Walter Minor 4-III engine and had an enclosed cockpit. This aircraft, I-MANZ, gained an RAI type certificate in 1962, but no manufacture was undertaken. Technical data for "Libellula II"
but no manufacture was undertaken.